If you are looking for a quick way to dig with an excavator and crush concrete at the same time, then the BR01 is one of the best options on the market today. The concrete crusher add-on can easily be attached to the Eurocomach ES 60 TR excavator with a simple multi coupling system. Just plugin in and start working faster and reusing the material on construction and landscaping projects. 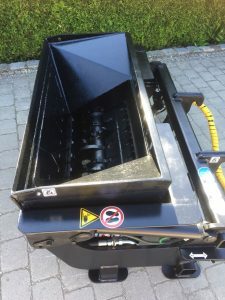 Like all RSB SIDE WORKS attachments, the crusher is mounted on the excavator support plate in just a few easy steps, secured and connected to the power supply of the excavator through the FASTER multi-coupling. After that, the crusher can be used immediately, but the excavator is not limited in its functions. The concept of RSB SIDE WORKS impresses with the fact that the excavator’s superstructure remains 360 ° rotatable, even when the attachment is working. Thus, the crusher can be filled continuously with the spoon, the excavator can rotate in all directions to absorb demolition material. 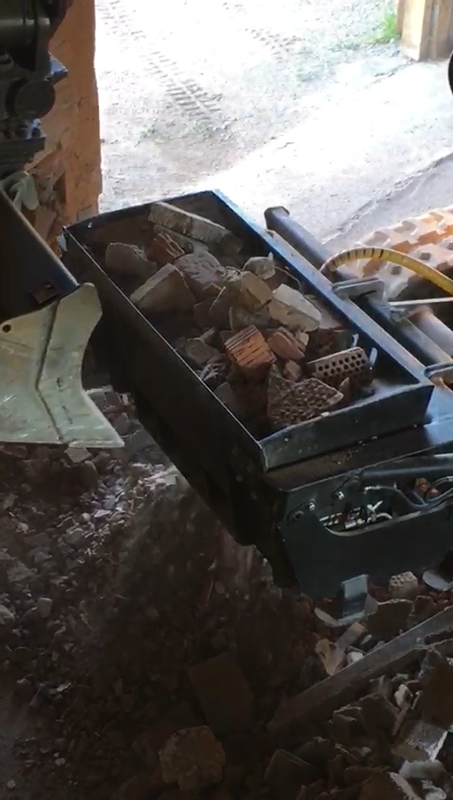 The crusher can demolish just about everything that comes between its five teeth: reinforced concrete and demolition material of all kinds, rocks, earth and even wet material. It can hold up to 0.3 m³. The radial piston motors, which can reach up to 40 hp hydraulic power, sit directly on the crusher shaft, so that high forces act on the teeth on the material. If large chunks block the shaft, the direction of rotation is automatically reversed for a short time in order to clear the shaft. Since it does not fail with breaker inserts that a tooth also breaks with the material now and then, the design makes it possible to replace the teeth quickly and easily.